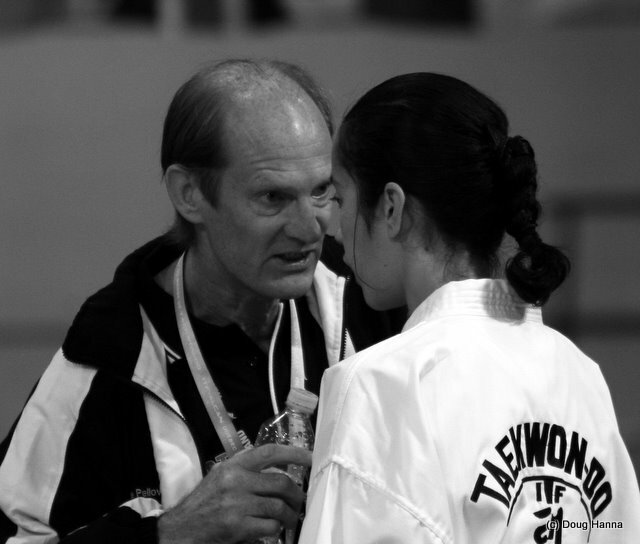 Steve Pellow gives Christine Topia a pep talk between rounds of her endless battle in the 2007 World Champs. The Canadian is fast, Christine manages to cut her off well though and scores with her long arms and legs effectively. Both fighters clash legs a lot when they try to move in. Christine scores well with her turning kick on her way out. She dominates with her hands and takes advantage of her height advantage. Really close round. Round three is much the same as the first two rounds, Christine looks as though she is slightly ahead on points by the end, but again – it’ll be close. Sudden death. This round goes for about 5 minutes. Both start slow – not wanting to give anything away. A couple of short flurries follow but the referee doesn’t want to go to the flags just yet. After about three minutes the referee still hasn’t stopped the match. 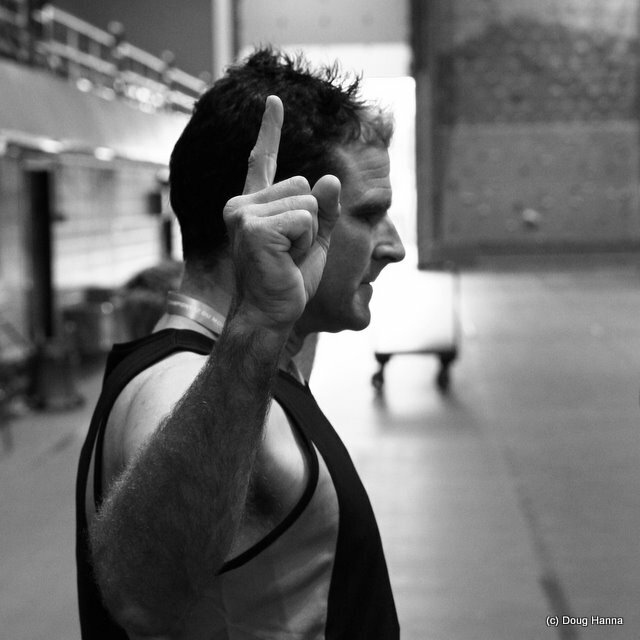 The German comes in with a sidekick, Christine moves to the side and scores with a jab – finally the referee stops the match – 2 flags for Christine – match continues. Another couple of scoring flurries go unnoticed by the referee and towards the end the match had become regular free sparring. After a long round, the German is awarded three flags. 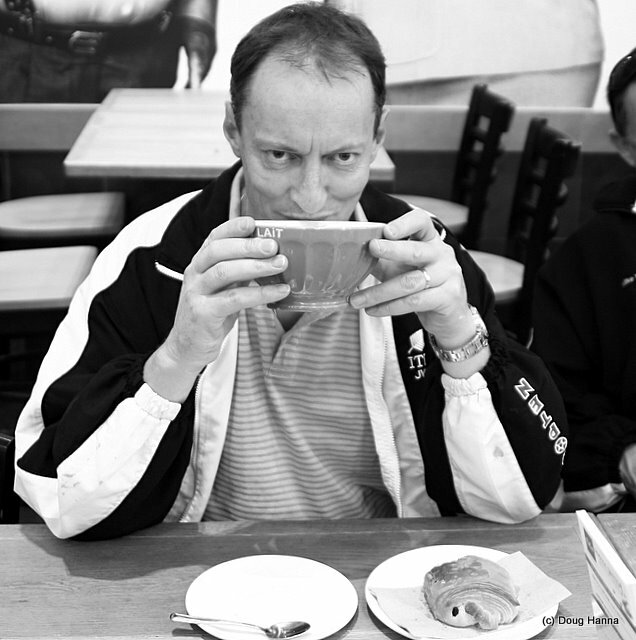 Yours truly in central Quebec tasting some great coffee and food in a genuine French bakery. "Give me back my camera!" - I put this photo in just to show that I'm not always the one behind the lens. And at only 1/13th of a second (a very slow shutter speed) it shows the power of these modern image stabalised lenses to capture a sharp image where it would normally be virtually impossible.